The Primula Soft Grip Tea Kettle is constructed of stainless steel with an encapsulated bottom. It's stay cool soft grip handle and flip up spout allows for safe handling, and a classic whistle sounds when water is boiling. The removable lid allows for easy cleaning and filling of the 3-quart capacity kettle. Available in a deep red stainless steel, the Primula Liberty Soft Grip Tea Kettle is a beautiful edition to the contemporary kitchen. 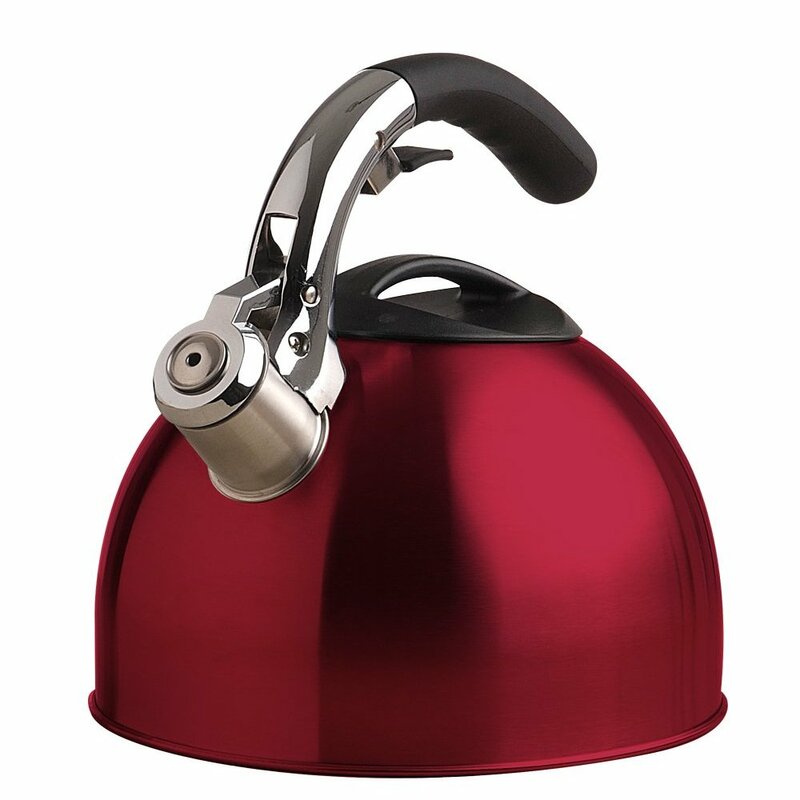 Click the button below to add the Soft Grip 3 Quart Stainless Steel Whistling Tea Kettle Red to your wish list.